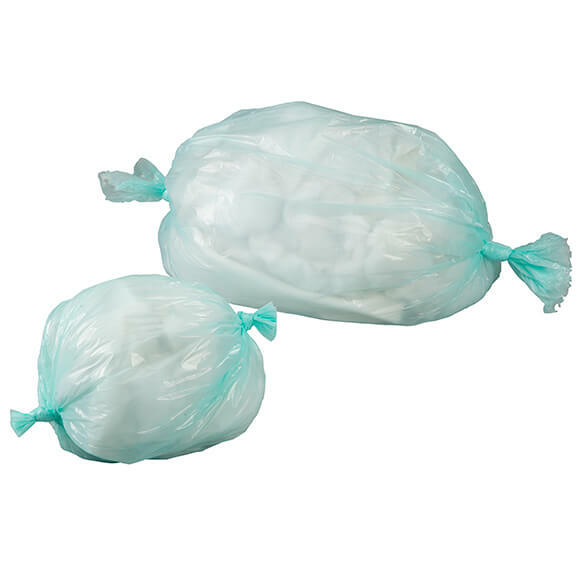 Keep your house smelling fresh with this vanilla-scented double-pack of Akord Refill Bags. 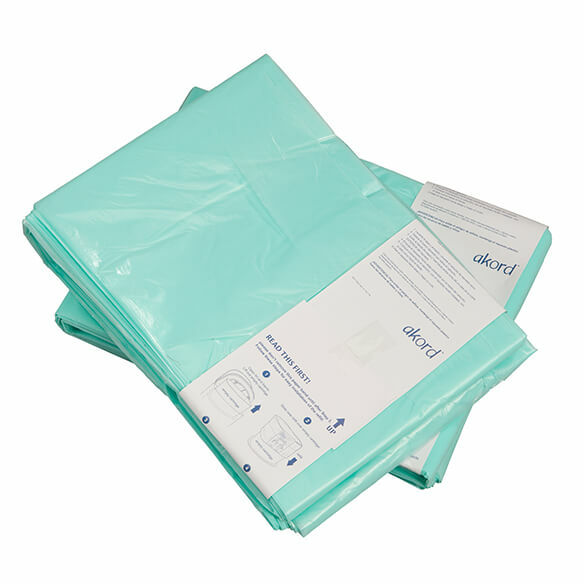 Designed for use with your Akord diaper disposal system (sold separately), these continuous adult diaper genie liners make it easy to cut, tie, and toss away soiled adult diapers and other incontinence products, pet waste and more. No more wasting bags! 1. When the bin is full, open the door and pull the full bag downwards. 2. Cut full bag on the door-mounted cutter and dispose. 3. Tie a knot at the bottom of the refill, creating a new bag and close the door. 1. Lift out empty refill liner cartridge. 2. Slide new refill liner over cartridge. 3. Remove paper band. Pull OUTER layer of refill liner. 4. Pull refill liner down through the middle of the cartridge. 5. Return cartridge with curved side towards from of pail. 6. Pull refill liner down and tie a knot.